Like I’ve said in previous posts, I’m not a suit guy. I don’t love wearing suits. I feel awkward. It’s like looking into a mirror and seeing someone you don’t recognize. I don’t like the feeling. 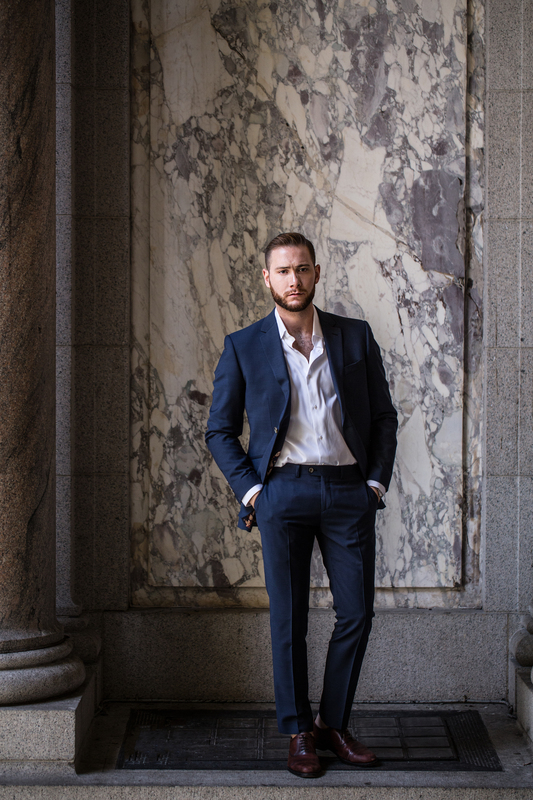 What I do love though, is looking in the mirror, seeing myself in a suit and going DAYUM…WHO DAT? That’s how this Indochino suit makes me feel. I’ve never been measured for a suit before, so I was a little nervous going to my first appointment at the store. I was measured and walked through the entire process of picking out my custom suit (with some of the most attentive staff members, they’re amazing) I was able to pick out my fabric, color, shirt, lining, dart (or no darts), jacket opening, lapel…literally everything. So not only is this suit one that fits me well (and makes me feel amaaaazinggg), it is 100% mine. I like this a lot. Upon choosing color, I decided navy was the way to go. Navy goes with everything. It’s classic, it’s chic, it works with brown, black, grey (burgundy..personal fav). It just works. The lining I chose as an ode to the little 12 year old me who was obsessed with orange as a kid. Ask anyone who went to middle school with me…orange was my…thing. Literally my screen name was OrAnGeAeRo91 (inspiration from orange clothing from Aeropostale….so let’s just take a moment to appreciate how far I’ve come since then). In addition to my lining, I was able to have my name embroidered on the inside of my jacket! It looks so sharp and makes this jacket feel completely mine. No one else will ever have this suit, and that makes it incredibly special. I’ve recently learned that my brother will be getting married in October, so this suit is going to be absolutely perfect. 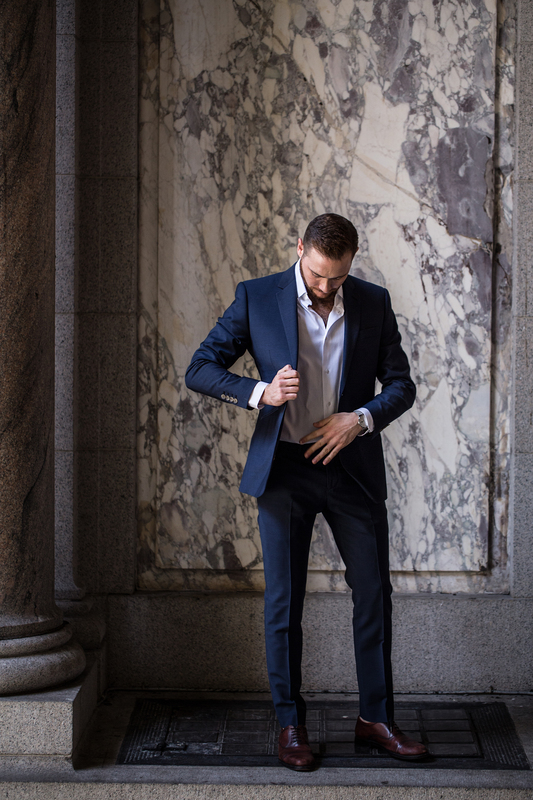 I’ll look slim, clean, and classic….who doesn’t want that? Answer: literally no one, everyone wants that. 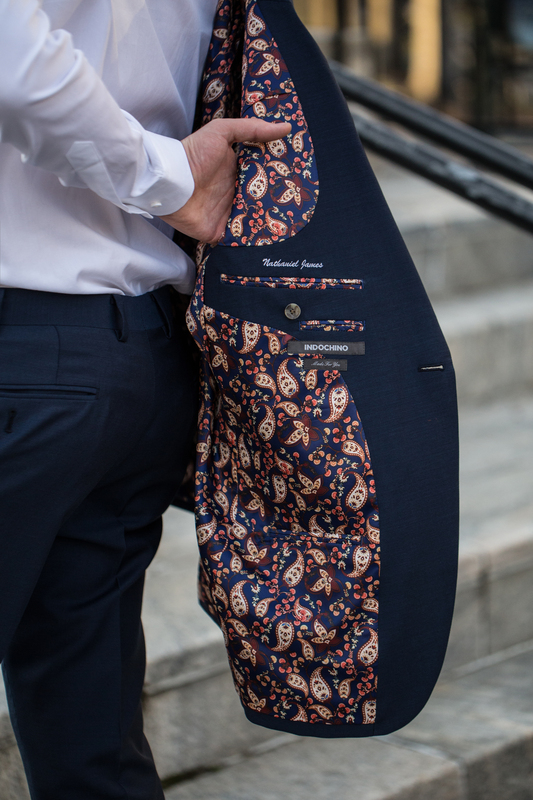 If you’re in need of a go-to, timeless, custom, wear to any special occasion suit…Indochino is where it’s at. Check out their shop in Soho and get inspired! I must tell you that you look great in a suit. I think it’s perfectly your outfit. Hopefully, you’ll get used to it one day. great suit! 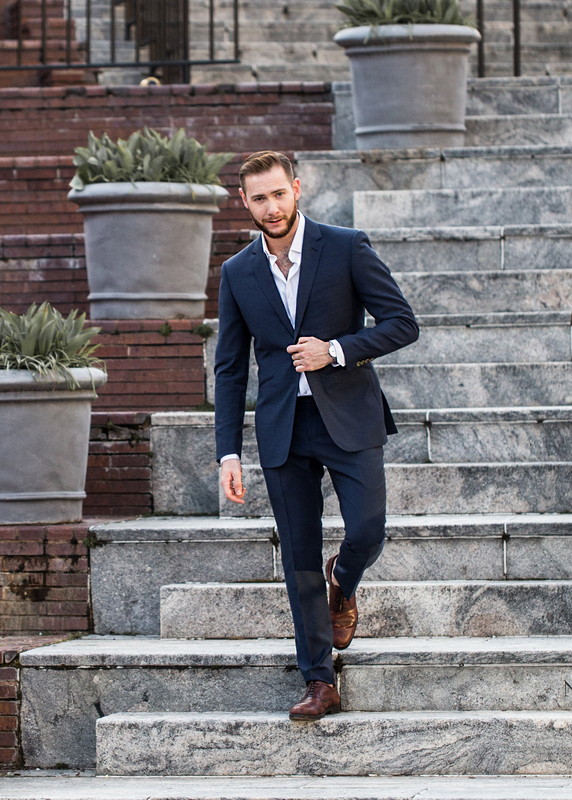 do you know which indochino suit that is? Thank you! It’s the premium navy shark skin!